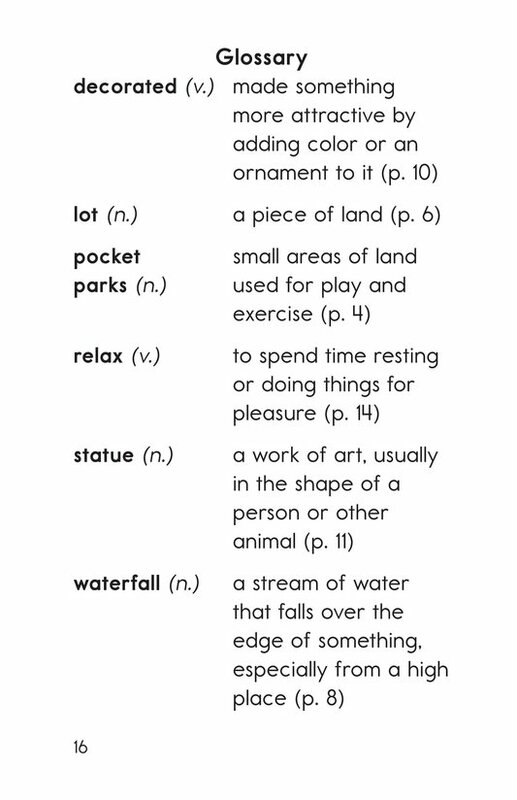 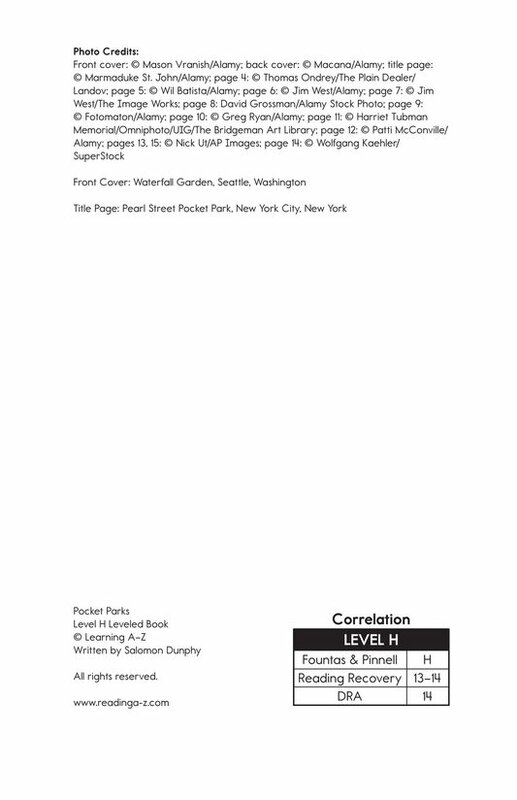 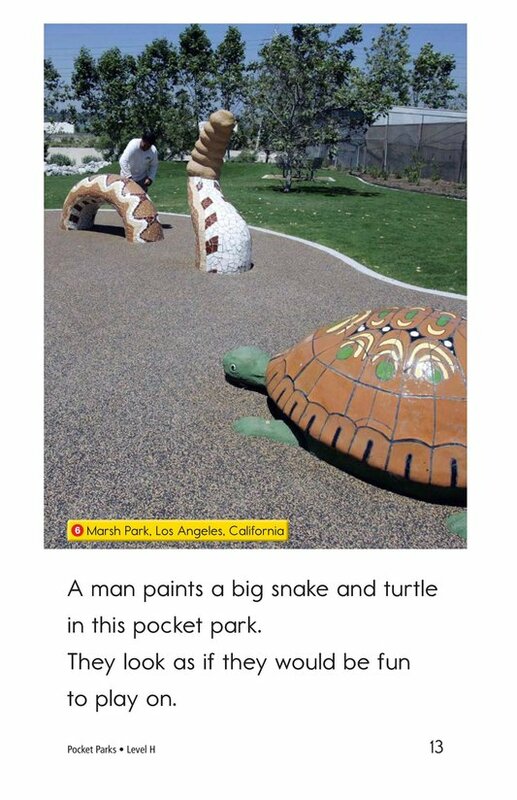 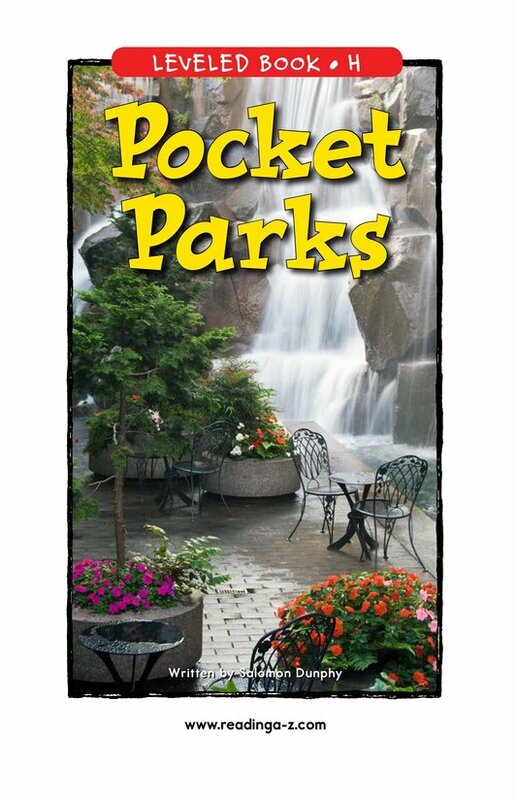 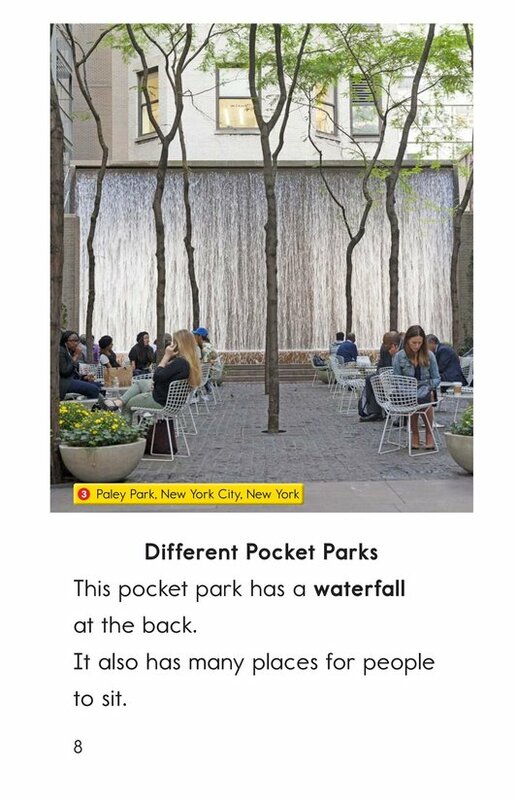 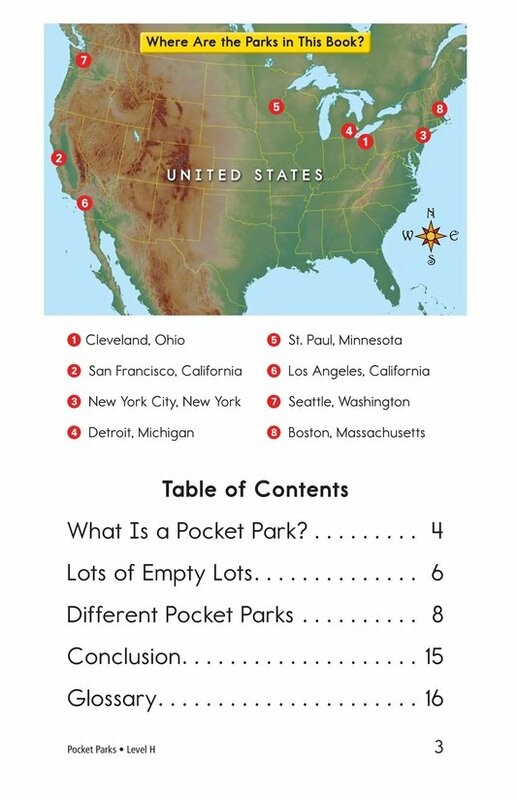 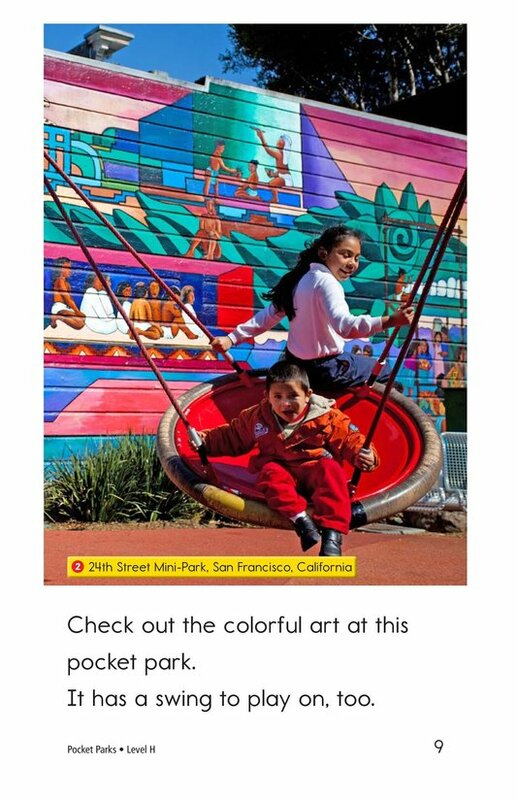 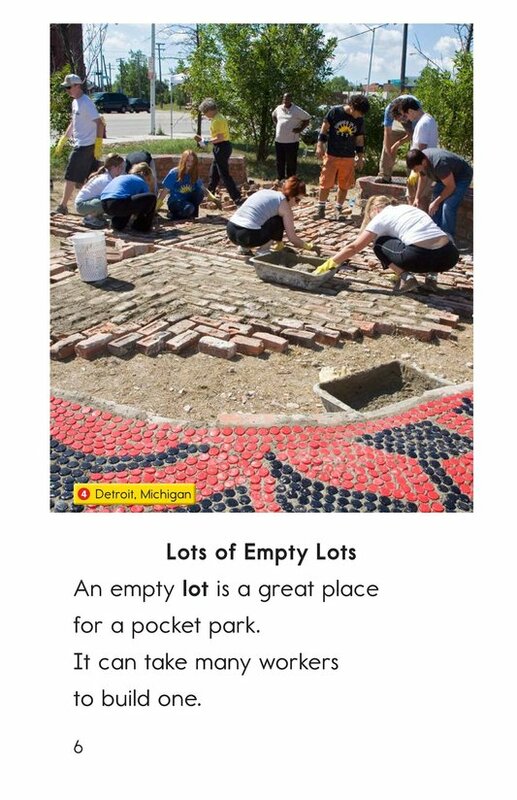 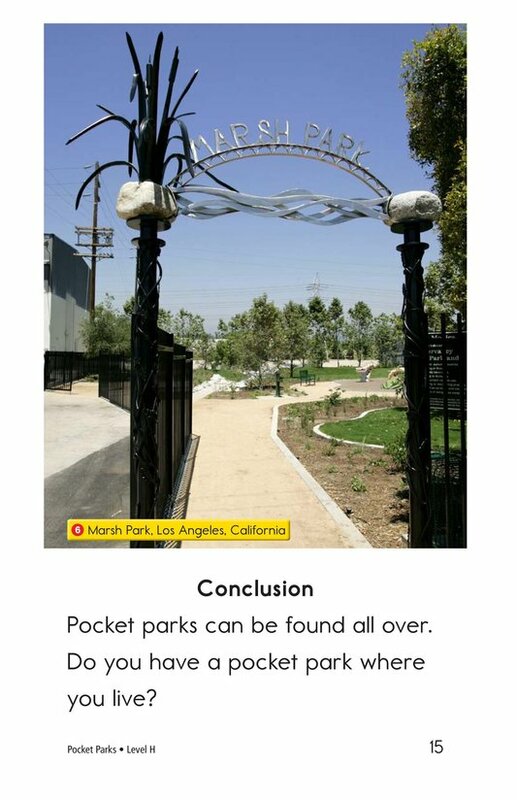 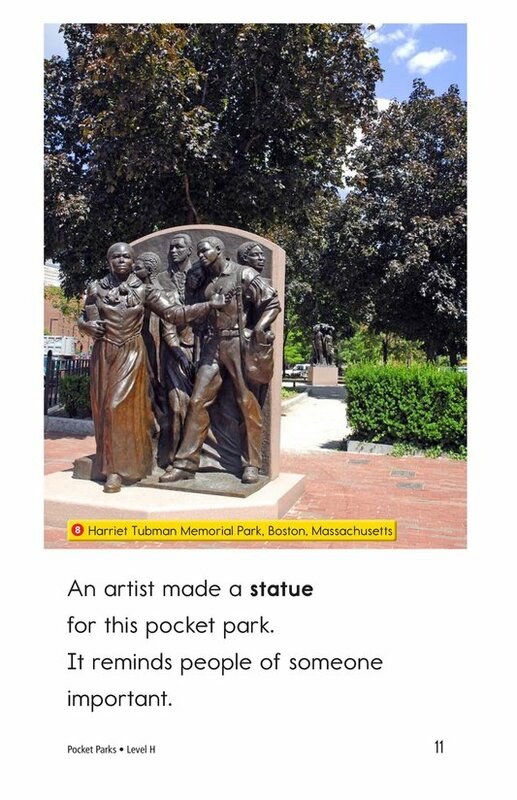 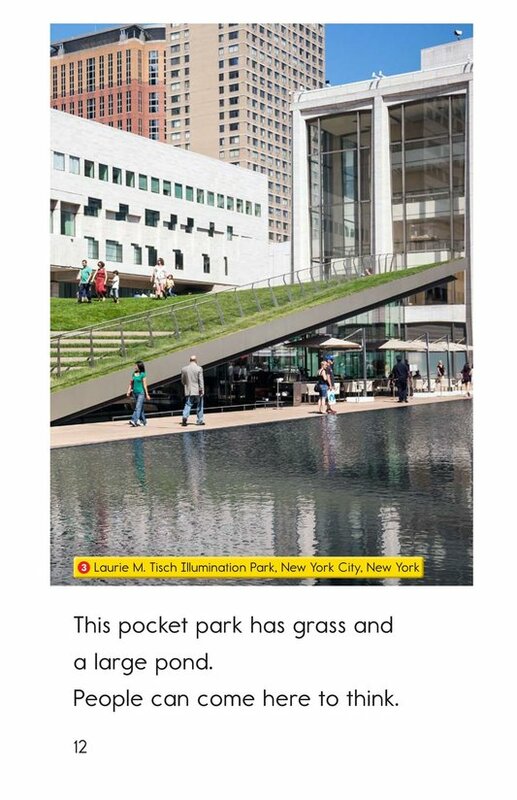 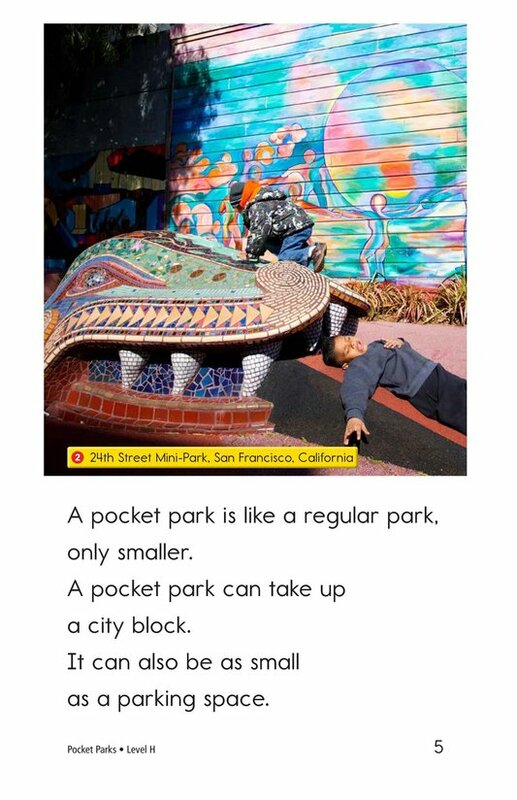 This book for emergent readers shares concise and fascinating information about pocket parks. 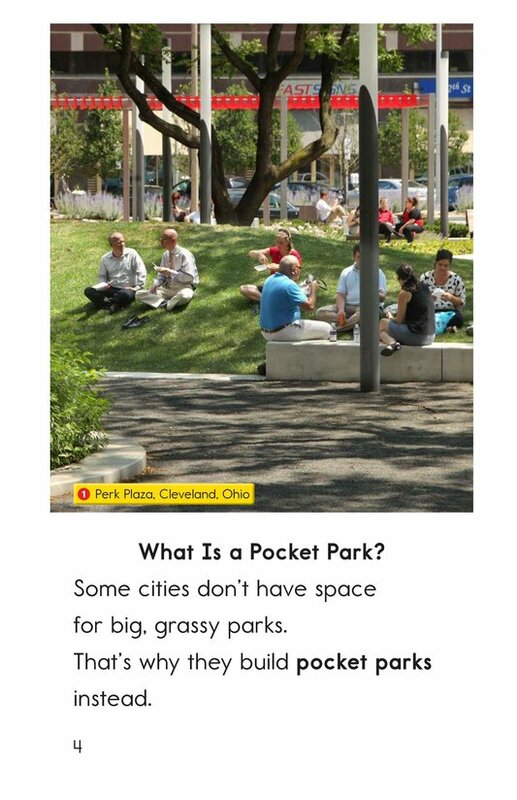 Placed on small lots of land, these parks are sometimes no bigger than a parking space. 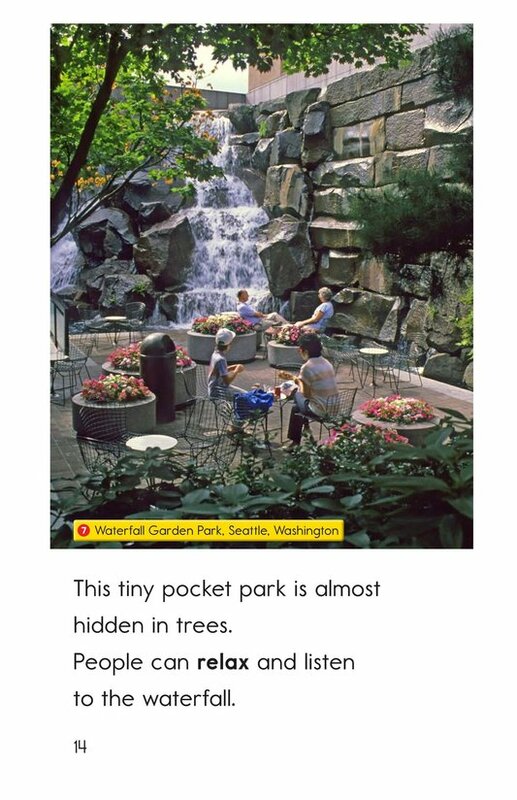 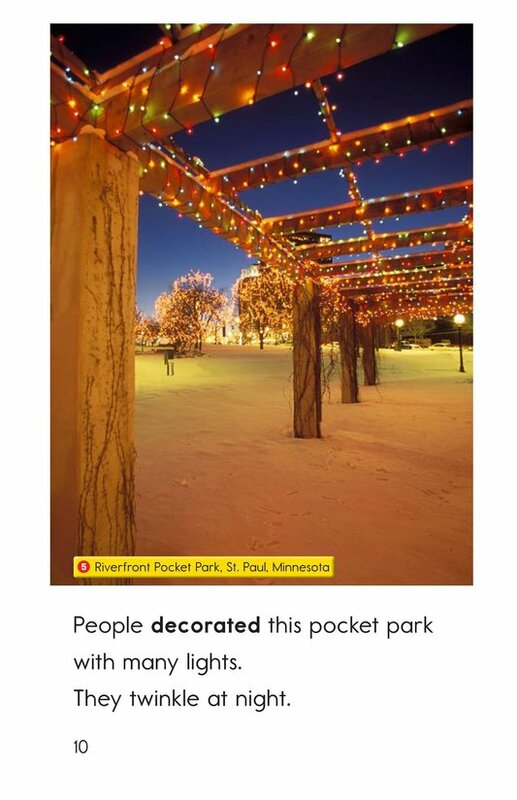 Large, colorful photographs reinforce the details described and feature pocket parks from across the United States. 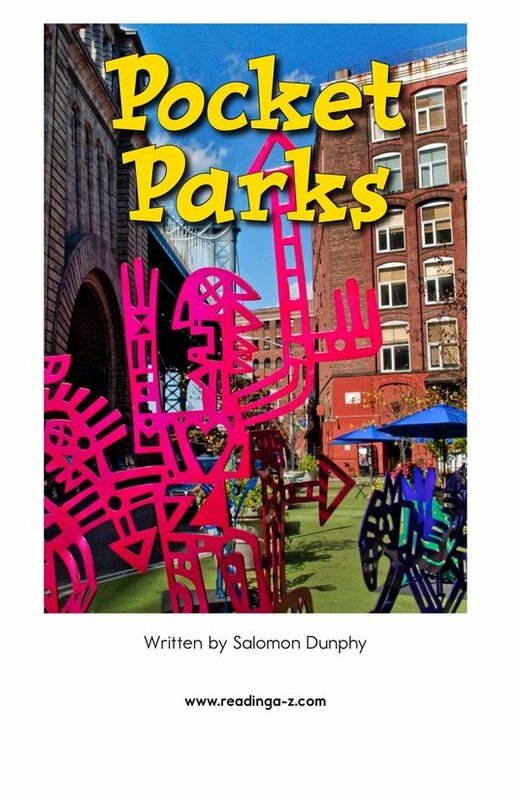 The book draws on a child's natural interest in outdoor play areas to teach about pocket parks while delivering a simple geography lesson. 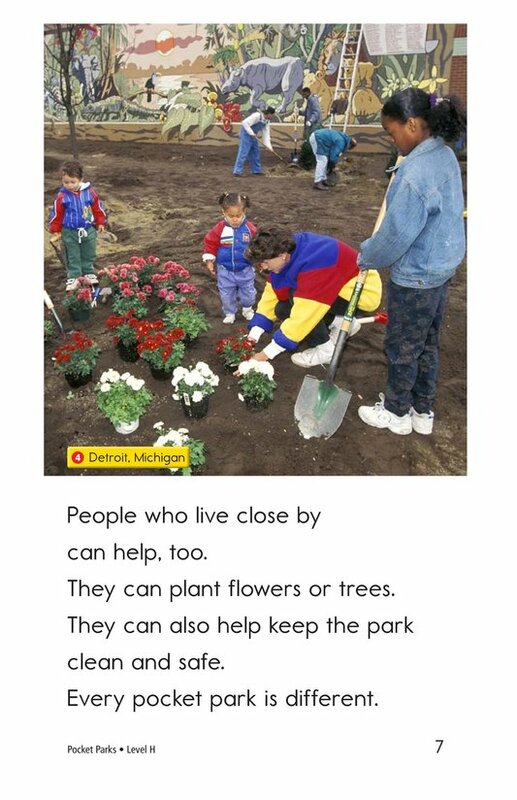 Other potential teaching points include identifying main idea and details, summarizing information, and adjectives.